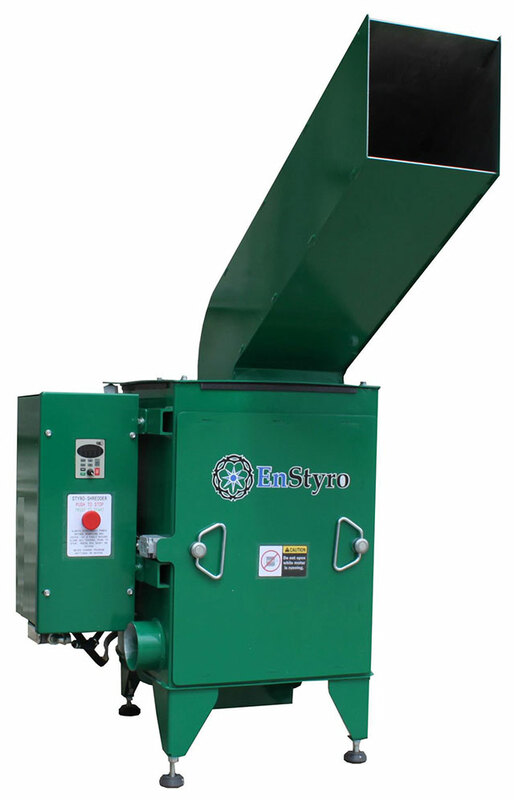 The 3 horse power EnStyro Shredder requires single phase 220 volt electric supply and is priced at $6,000. The 5 horse power EnStyro Shredder requires three phase electric power supply and is priced at $6,700. Our shredders come with one screen insert at your choice of size. The screen insert size is the measurement of the square openings that foam must pass through to exit the shredder. Screens come in the following sizes and extra shredder screen inserts are priced at $320 each. The EnStyro Separator operates in line with the particle flow from the shredder to produce two distinct particle sizes. The EnStyro Separator is priced at $1,500 with one screen insert of your choice. The separator screen size is the measurement of the round openings that foam must pass through to exit the separator and move on to fines collection. Screens come in the following sizes and extra separator screen inserts are priced at $210 each. Call (563)542-7255 or email info@enstyro.com to order equipment today. Enstyro is here so you can produce exceptional particles from most any type of scrap foam. The best particle for the job depends on the job. With the many screen choices we offer, you will always be able to adapt and maximize profitability.